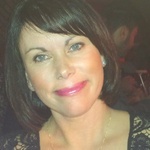 Helen Lockren has over twenty years experience of providing marketing, pa and administration support to large and small organisations. Area Covered: All Uk virtual and Devon Work...Read moreHelen Lockren has over twenty years experience of providing marketing, pa and administration support to large and small organisations. Work Experience Summary: 20 Years experience in Marketing, PA and administration support.